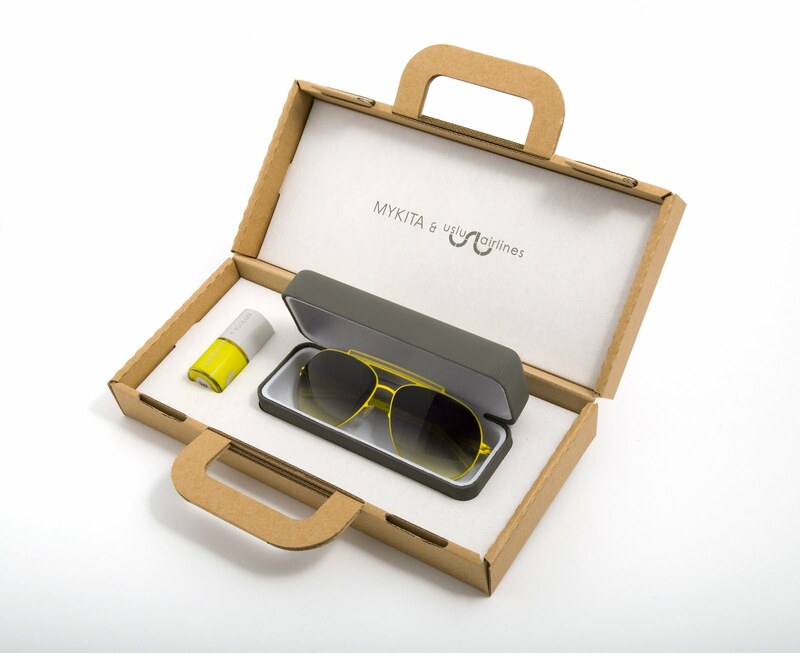 Berlin based eyewear brand MYKITA and cosmetic company USLU AIRLINES first worked together back in 2006 to co-design a limited edition of aviator sunglasses as a result of their shared “facially-focused” creative energies. The two new models are named EVE and BOB and their names, as is tradition with Uslu airlines, were inspired by airport destination codes, and as is traditional with Mykita – are also first names: ‘BOB – bora bora motu mute’ located in French Polynesia and ‘EVE – evenes’ a destination in Norway. This new edition comes in three striking colour coatings with matching nail polish, and is packaged in a small suitcase. 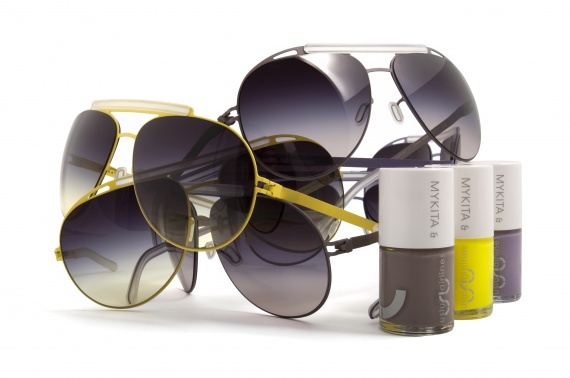 The MYK Grey-Brown and Liac ITA colours are new developments of Uslu airlines nail polish best sellers; SXF however signals a new twist on Neon Yellow. The nail polish, in co-branded bottles, is also sold separatly. The Jet Sets will be avaiable in few hand selected stores before Christmas 2010.